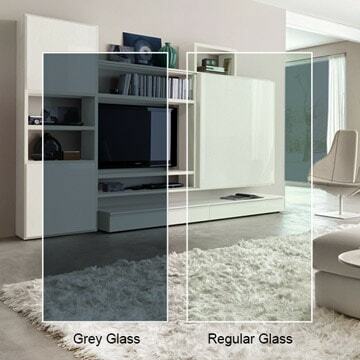 Gray glass is made from the same high-quality glass that we use for all of our products. You can specify the shape, size, thickness, edge types, corner types, and even whether or not you'd like an umbrella hole in the center! You can also specify whether you want tempered glass for added durability. Gray glass is a versatile design choice that you can customize to be exactly what you want. Please note that your monitor settings may have an effect on how the gray glass looks to you. Actual color may vary from on-screen representation.